Great group of Wedgwood in the Windermere style. There is 3 dinner plates, 4 saucers, 1 salad plate, 1 small server plate, and 5 cups. 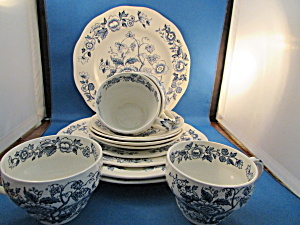 Has the Wedgwood markings on the bottom of each piece. All are in excellent condition.